Jules Jean Baptiste Vincent Bordet was born on June 13, 1870 in Soignies, Belgium, a small town 23 miles south west of Brussels. In 1874 his father, Charles Bordet, a schoolteacher, was appointed to the Ecole Moyenne, a primary school. Both, Jules and his older brother Charles Jr. attended the Ecole Moyenne and then received their secondary education at the Athenne Royal of Brussels. While attending the Athenne Royal Bordet became interested in chemistry and constructed a laboratory at home. He entered the medical program at the free University of Brussels at the age of sixteen, graduating, with his doctorate in 1892. He began doing research while still in medical school, publishing a paper in the Annels de l'Institute Pasteur in 1892. In 1794 Bordet went to Paris to work at the Pasteur Institute sponsored by a scholarship from the Belgian government. In Paris he worked in the laboratory of the Ukrainian born scientist Ilya Metchnikoff. Bordet's experiments showed that there were two distinct elements present in immune sera needed to cause the lysis of bacterial cell walls. The first was a specific antibody, recognizing the particular kind of bacteria present, generated by the immune system in response to the bacteria. Antibodies are protein molecules that specifically bind to bacteria. The second is a nonspecific response, that is heat sensitive, that works in concert with the antibody response to lyse invading bacteria. Bordet called this second element "alexine", today it is called compliment. The insight that allowed Bordet to distinguish the two elements was that the compliment is sensitive to heat and can be destroyed by heating above 57 degrees Celsius, the antibody response is not destroyed by heating above 57 degrees. Compliment is a biochemical cascade that works in concert with the antibody response to kill invading bacteria. The bacteria is first tagged when antibody molecules generated by lymphocytes bind to its surface. The compliment, a series of circulating proteins generated by the liver, recognize the antibody bound to the surface of the bacteria and through a series of reactions produce a pore in the cell wall of the bacteria. Fluid rushes in through the hole, driven by osmotic pressure, flooding the inside of the bacterial cell wall, eventually causing the bacterial cell to lyse. In 1904 Bordet returned to Brussels to found the Pasteur Institute Brussels. In 1906, working with Octave Gengou, Bordet succeeded in isolating a pure culture of Bordatella pertussis, the organism that causes whooping cough, and was able to develop a vaccine against the disease. 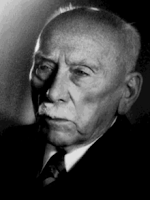 In 1919 Bordet was awarded the Nobel Prize in physiology and medicine for "for his discoveries relating to immunity". Bordet died on April 6, 1960.